With football season quickly approaching and basketball season not far behind, we know that the summer is quickly fading. Which means a few things, for starters it's going to get colder which is good because they you rock a hoodie without breaking a sweat. It also means that the leaves will be changing color. However, it also means the end of baseball's regular season and the start of the MLB's post season. 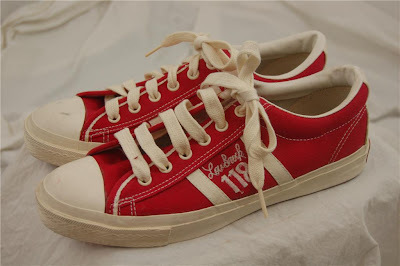 Speaking of baseball, today's flashback is a pair of Lou Brock signature Converse shoes from back in the day. 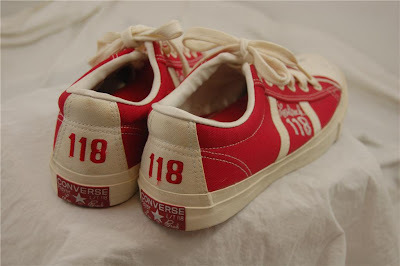 At first glance they may just look like a pair of chucks with a different upper. That isn't exactly true, if you look around the ankle you'll see more padding and later on you'll also notice a much wider heel stripe in Leather. 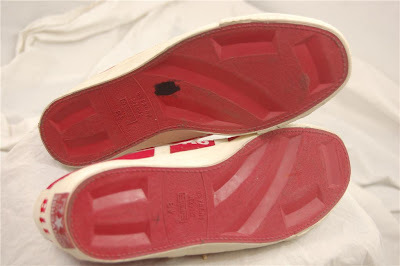 Another nice feature is the piping that runs under the shoe laces. As you get through the pictures you'll also see the outsole is designed for baseball, don't ask me how, but never the less the are. 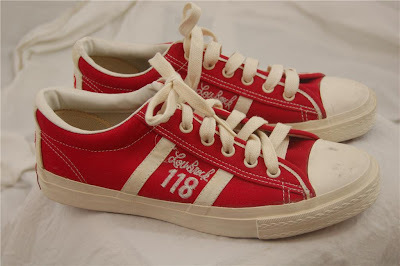 You might also be asking yourself, why is the number 118 written all over this shoe. That's a question I asked myself, thank goodness for the world wide interweb. In 1974 Lou Brock stole 118 bases, and at the time it was a new single season record. 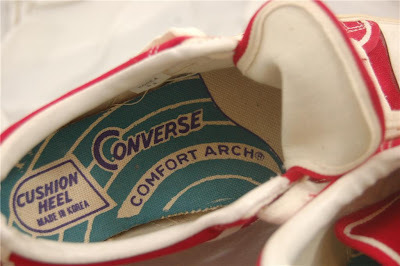 Above you'll also notice the Converse Comfort Arch and Cushion Heel, plus you've got to love the tilted "C" logo. Well that's it for today, I hope everyone enjoys the kick off of College football as much as I will. Thanks for checking out the blog.